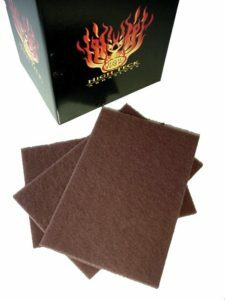 High Teck scuff pads are a heavy duty pad. Developed using Mirka’s innovative Total Coating™ Technology, Mirlon Total is more aggressive than Mirlon and produces a dense scratch pattern and rapid result. Suitable for use in wet and dry modes, it features an open and flexible structure and strength. As well as for scuffing surfaces for painting, the red is excellent for removing rust and cleaning metal. The gray is excellent for final scuffing applications….. Yes you read correctly, the High Teck pads are made in Finland by Mirka! Consistent scratch pattern and more uniform finish. 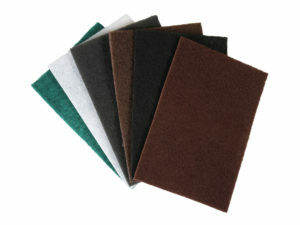 At the request of our customers, we now carry Mercer Industries scuff pads.